This space saving Joseph Joseph set of Nest™ Colanders includes a small and medium colander that stack neatly inside each other. 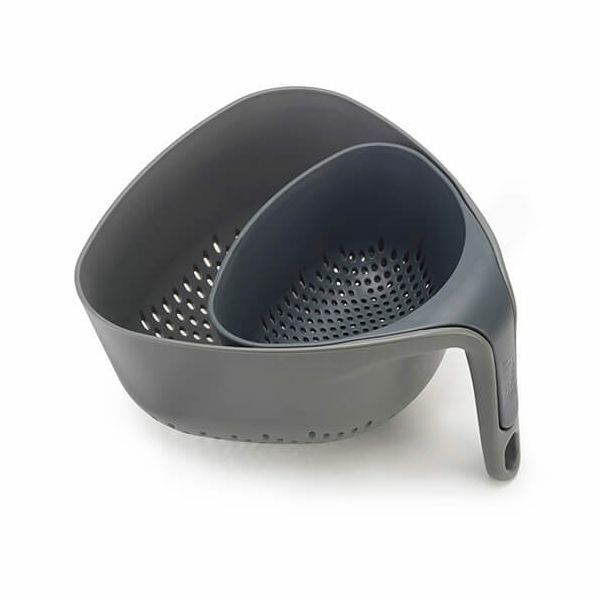 Both colanders features vertical ergonomic colanders for easy handling when in use. The handles also provide a support so that the colanders remain upright when draining. The large drain holes and smooth corners allow water to drain and emptying food easily. This set of colanders are dishwasher safe for easy cleaning and are BPA free for healthy food preparation.